Since the time of Shakyamuni Buddha 2,500 years ago, the transmission of the Buddha's teachings has been supported by the members of the practice community through "dana," a Pali word usually translated into English as “generosity” or “giving." This tradition continues today, with our teachers freely sharing their Dharma teachings, offering us the fruits of their many years of training and practice. Dana is a way for us to express our individual appreciation for our teachers and to support the Florida Community of Mindfulness as the vehicle through which these teachings are offered. As a fundamental part of the Buddha's Way, dana is the practice of developing a generous and open heart. Along with the cultivation of harmonious living and of wisdom, generosity is considered one of the fundamental pillars of the Dharma (the teachings and practices of Buddhism). The practice of generosity is one of the six paramitas, transformative actions that lead to liberation and enlightenment. How do we practice dana in the Florida Community of Mindfulness? FCM relies upon its members for their annual membership pledges and other tax-deductible financial contributions, which are FCM’s sole source of funds. 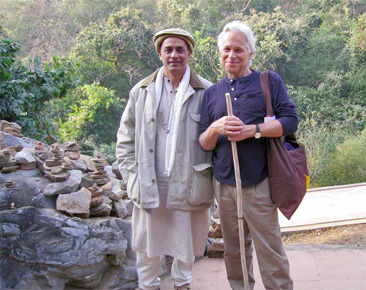 This dana provides FCM with funds that support the operation of FCM's Tampa Practice Center and meeting spaces in Naples and St. Petersburg; offer financial support to our teacher, Fred Eppsteiner, so he can continue to work as a full-time Dharma teacher; assist with travel expenses to bring guest speakers to our area; and contribute toward our Retreat Scholarship Fund. Read more about how you can make donations to support FCM. Equally important, volunteers from our local meditation groups offer their time to serve their sanghas by setting up the meditation hall, leading meditation practice, providing flower arrangements, or preparing refreshments after meditation. FCM members also practice dana by contributing their time and skills to provide needed services to FCM such as enhancements and maintenance of the Tampa Practice Center, website maintenance, the development of educational programs, editing our newsletter, and providing organizational leadership. Read more about how you can support FCM through volunteering.